Does the park take donations of animals or plants? 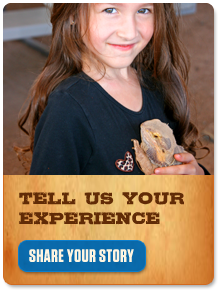 Every year, Out of Africa Wildlife Park receives many inquiries from people who would like to donate wild animals or exotic pets. In most cases we are unable to take them for a multitude of reasons. However, we are happy to review each animal situation on a case by case basis. If we cannot provide a home for the animal here at our Park, we will help direct you to local and regional facilities and wildlife centers that can possibly help. Remember that exotics must be processed through the Department of Arizona Game & Fish following specific protocols. Feel free to contact us with your information at 928.567.2842. Plans for a pet should always include care for its entire lifespan. Remember that exotic animals almost never make good pets. If you have plants you would like to donate, including trees, please contact us at 928.567.2842.